Every Work of Art has his own story. 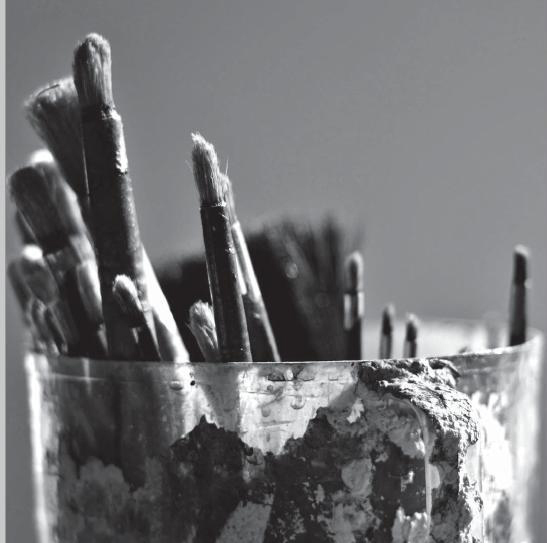 An emotion, a feeling coming from the artist is turned into a physical object. 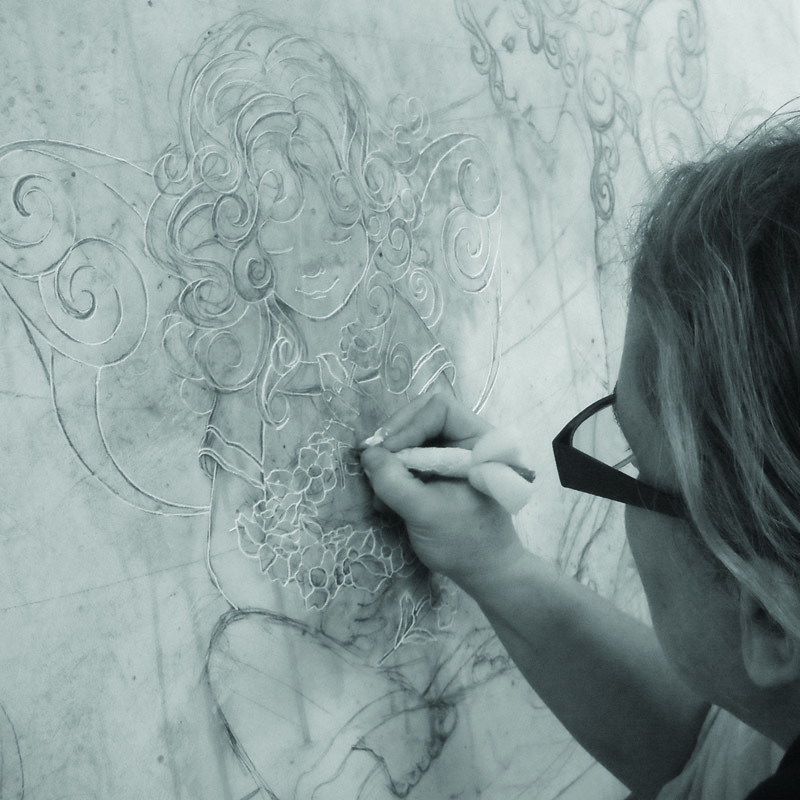 In the video: The artist Valeria Bonisoli realises the sketch and later carves the first work to then arrive at the decoration of the final Work of Art. In your arms. 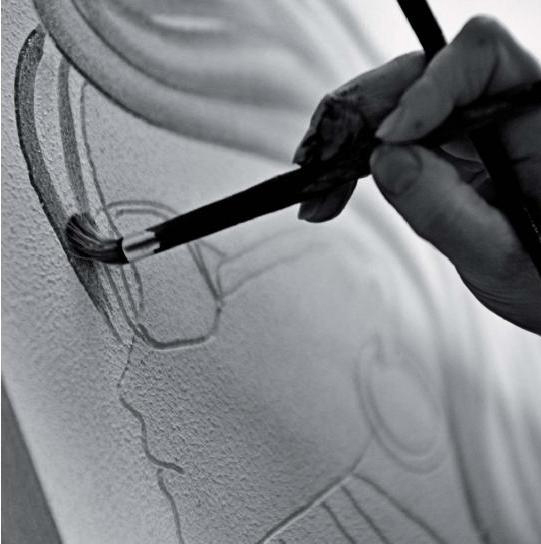 Everything starts from the carving of the first work. 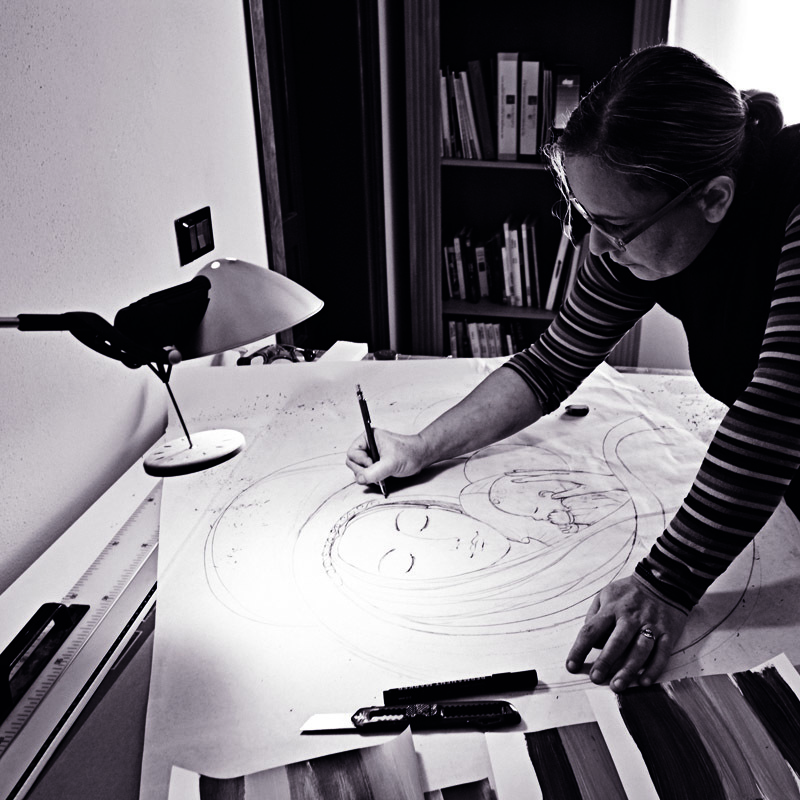 During the creation of a first work it is necessary to go through many steps, starting from the sketch to then arrive at the realisation of prototypes, the decorative carvings and finally, the colouring tests. 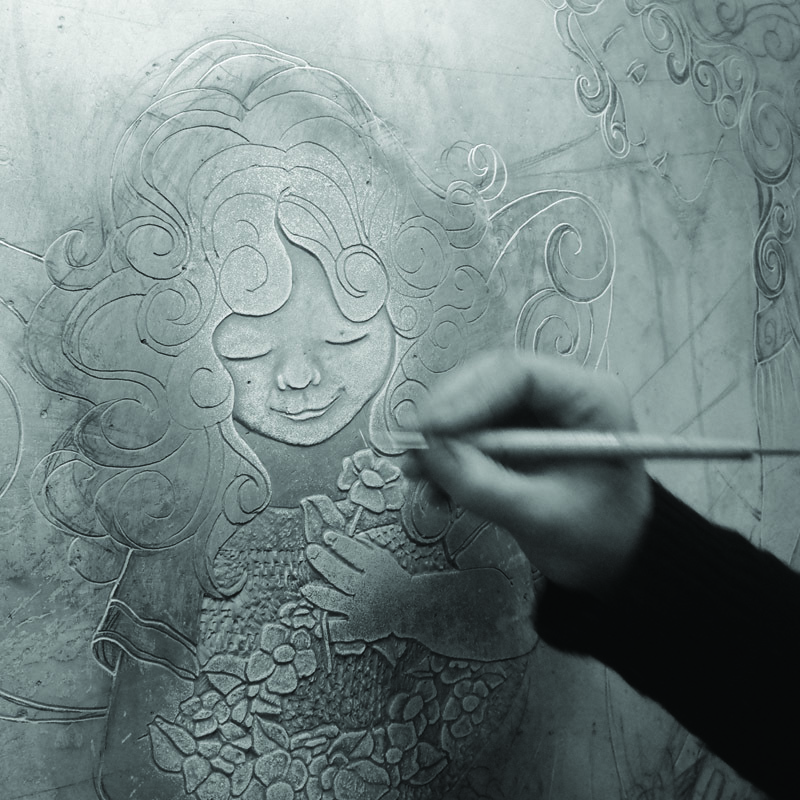 In the video, it is possible to see some parts of the carving process of the sculptures of the nativity scene made by Cartapietra in 2016, in particular, the decoration of Child Jesus using the carving technique. Hand painted Works of Art, capable of instilling feelings into the hearts of people. 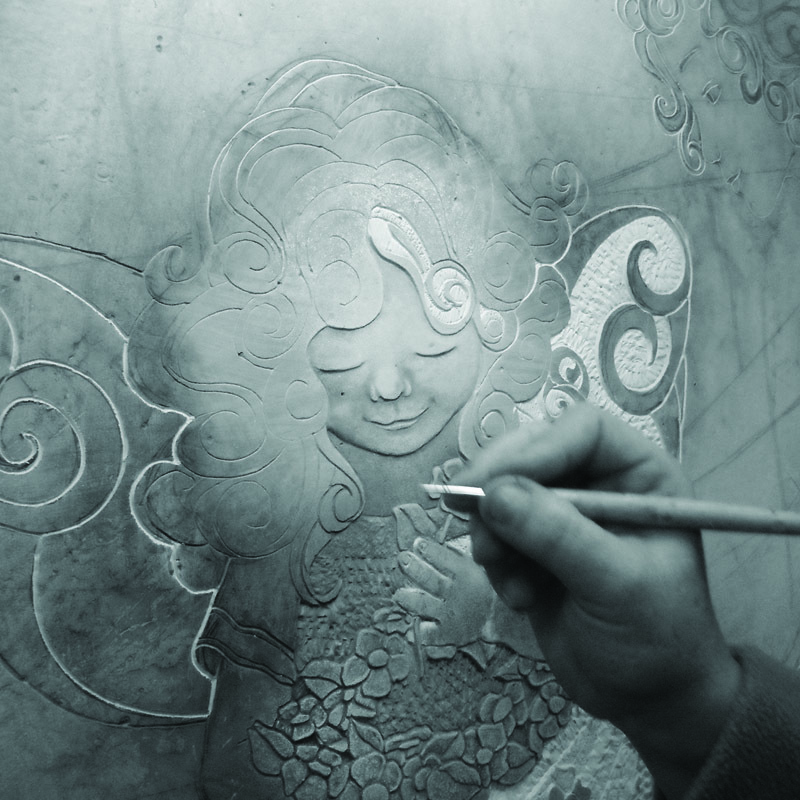 One of the realisation steps of our Works of Art in our workshops in Nogara is the Decoration. 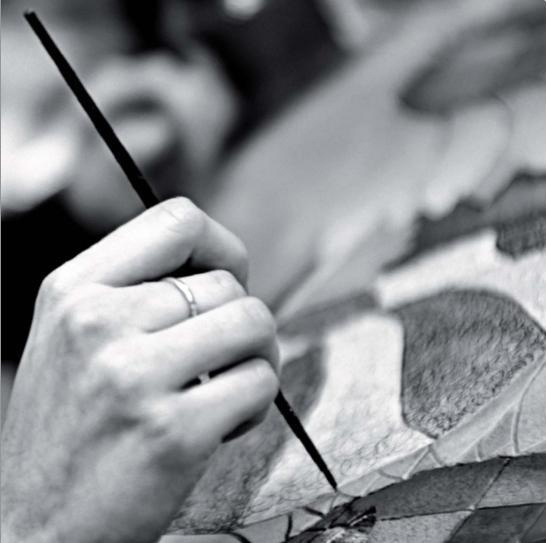 In this video shows some parts of the making process of our most traditional picture: l' Albero della vita (the Tree of Life)designed by Cartapietra. 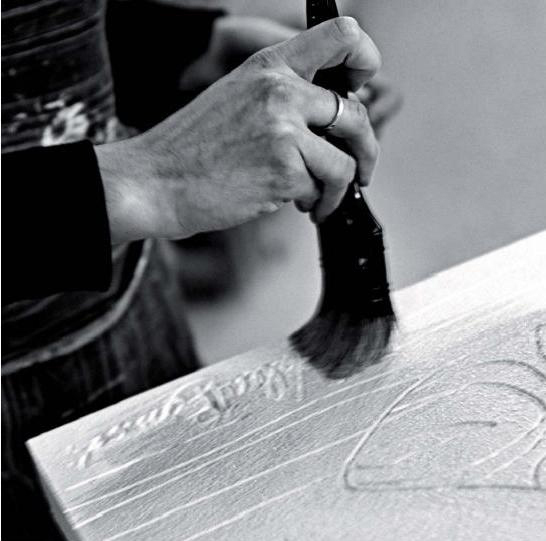 Cartapietra Company takes origin from an idea, the idea that an artist can turn into a company by always proposing brand new works instilled with values that transcend the mere aesthetic element. His history begins in 1995 when two people, Valeria Bonisoli (current Art Director)and Raffaele Chiappini (current Sales Director), decide to work together in an arduous project in which they firmly believe. By founding Cartapietra they also lay the foundations for their life and the creation and growth of the company, at the point that it's impossible to think at the origins of Cartapietra without thinking about them. 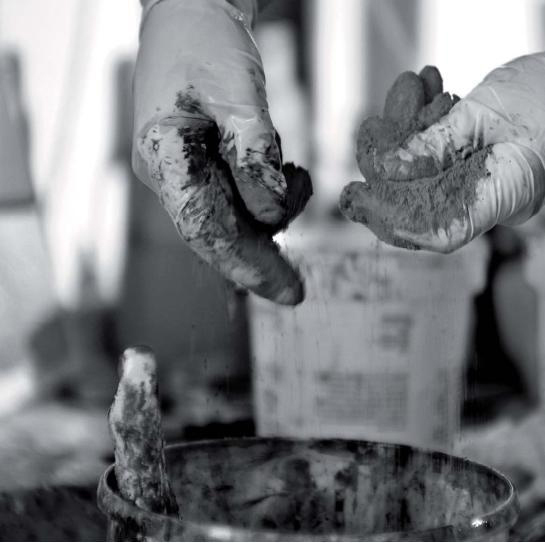 Cartapietra find his origins in a small workshop where its two founders work together creating household items that are, under every aspect, Works of Art. 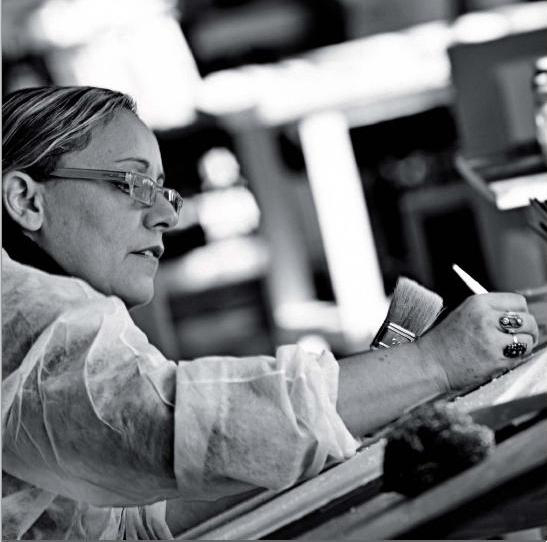 Despite the difficulties of such an ambitious project and the scarce opportuinities, Cartapietra's concept and design, always by Valeria Bonisoli, are esteemed by the customers and, after years of hard work, the small workshop turns into a company that not only operates on a local basis, but that also aims to the national and international market. It is in 2002 that Cartapietra sees its first internal revolution. It moves its headquarters, it becomes bigger and it starts changing its own structure. Different working department are created, many supervisors and coordinators are nominated and that initial project starts changing into a solid company capable of generating attractiveness and providing jobs to many other people. Encouraged by these results, Cartapietra invests to create something unique of its kind. Due to its capability to always overcome difficulties becoming stronger and more skilled, and taking advantage of its great teamwork, its uniqueness and its incredible product innovation capabilites, today we face a new revolution. The not yet completed project has come a long way since when it first started. 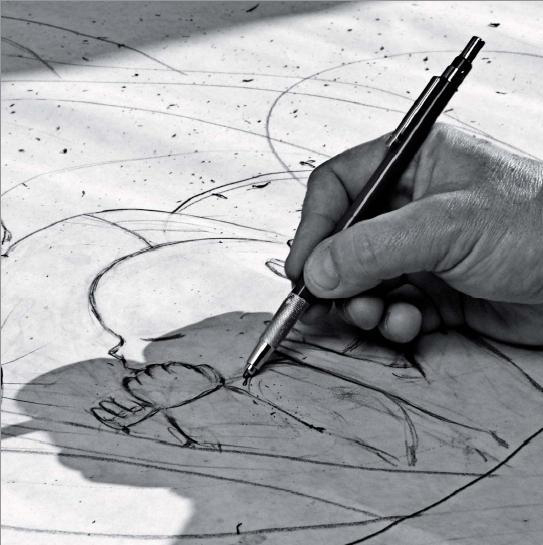 Now the challenge is to turn the company itself into the Artist, while preserving our style, which assumes many forms, always remaining touching and easily recognisable. Everything can me resumed as it follows: the company, the people, the history, even Cartapietra's philosophy, are all just part of the same will; that is to allow people to enjoy art in the intimacy of their homes every day, without the need to go out to find it. to allow people to enjoy art in the intimacy of their homes every day, without the need to go out to find it.